Burch & Purchese finally have a home! There's been a lot of buzz lately with the opening of Burch & Purchese Sweet Studio in April at 647 Chapel St, South Yarra. The supremely talented pastry chefs Ian Burch and Darren Purchese, along with their fantastic team, have been busy creating a dessert haven about a 15-minute walk from where I live. Aren't I lucky! After a few weeks - I know, unforgivable considering my proximity - I finally made my way over there. And can I just say, I was like a kid in a candy store. In fact, I spent such a long time in the studio that Cath, the manager, wandered out and exclaimed, with some amusement: "You're still here!" the burch & purchese sweet studio - where they fuse science with sweetness. 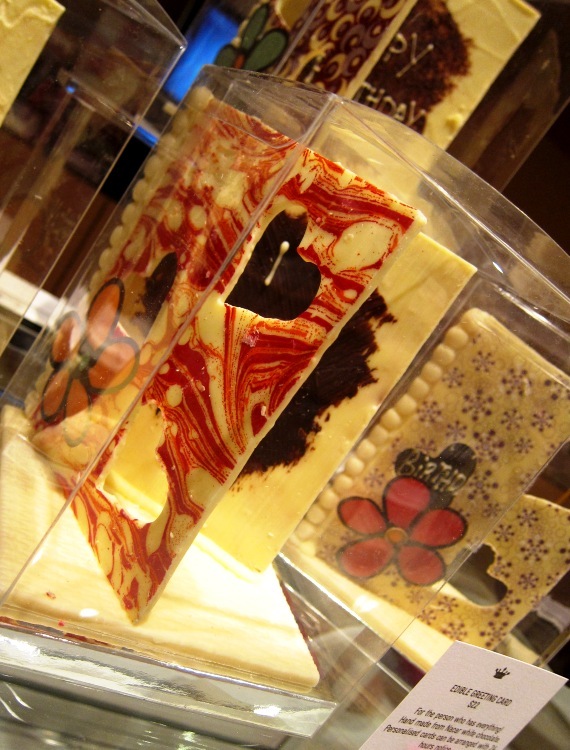 Alright, so the first dessert creations I saw when I walked in were these edible greeting cards on the counter. How cool are they? edible greeting cards - $22 each. The chocolate flower lollipops, stuck in edible soil, are also awesome. 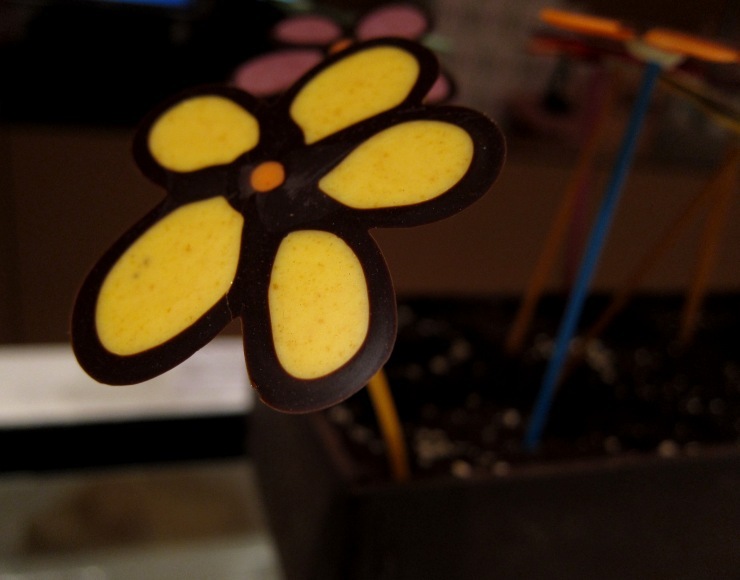 chocolate flower lollipops in edible soil, $3 for each flower. 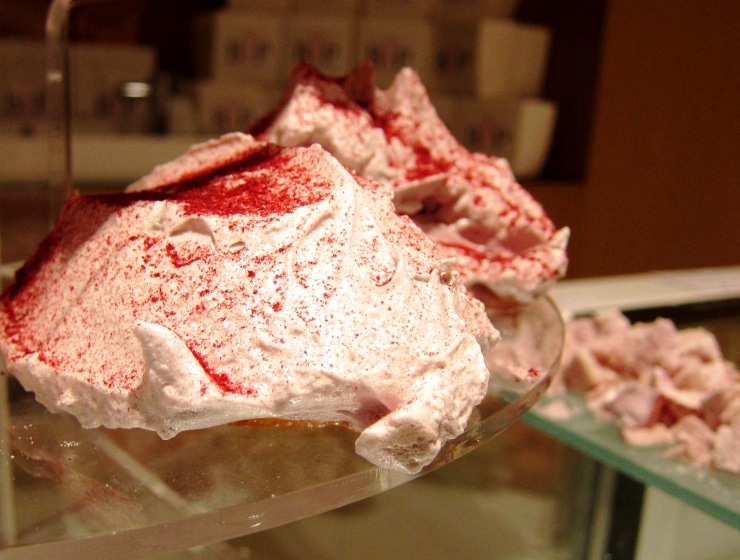 These are blackberry meringue clouds. I picked a sample from that tray in the background, and while I'm not a meringue person, I didn't mind eating these - the freeze-dried blackberry powder cut through the sweetness with a pleasant intensity. There were a couple of magnificent cakes on display in the studio. You can spot the "flavour wall" behind them - this is where you can receive a consultation for designing a unique made-to-order cake, and apparently there are over 250 ingredients from which you can choose for mixing and matching. 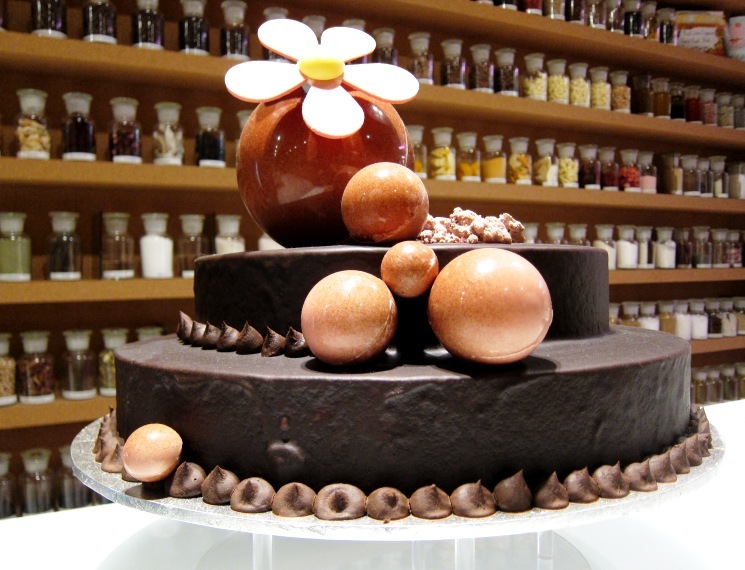 a gorgeous chocolatey looking cake, and the flavour wall. There were about a dozen different types of cakes for sale at the counter, all of which looked absolutely exquisite. The flavours and techniques that go into these cakes are truly impressive - they were comprised of fancy-sounding molecular gastronomy things like choc aerated shortbread, violet custard, rose gel and maple jelly spheres. an assortment of individually portioned cakes, $9 each. 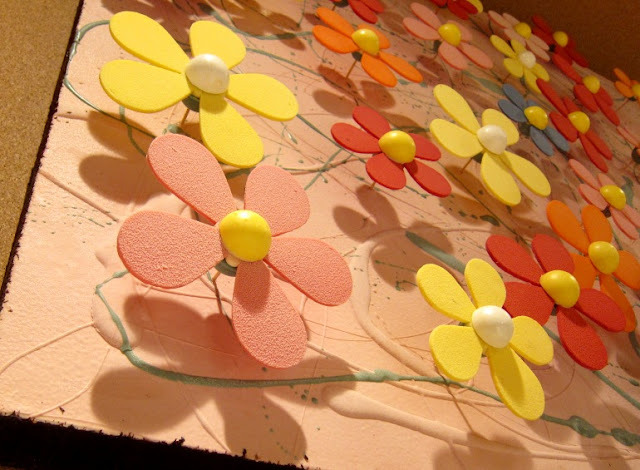 Burch & Purchese also offer edible art - a big one like this flowery picture, made from a variety of freeze-dried fruits, could cost somewhere in the vicinity of $1200! edible art made with freeze-dried fruit - i think this was actually $1200! 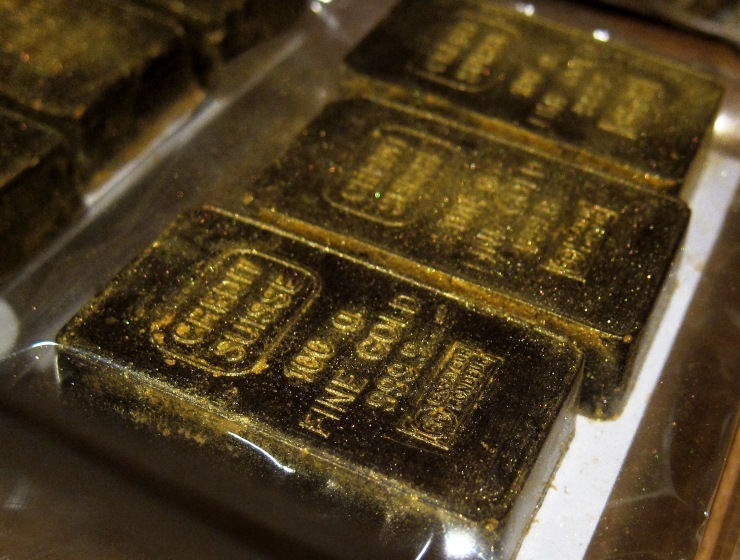 I don't think they have Willy Wonka golden tickets, but I did find some glittery gold ingots. i can't remember what flavour these nougats were. raspberry and white chocolate clay. there were also green tea ones. $6. spicy pineapple jam and chocolate hazelnut spread. 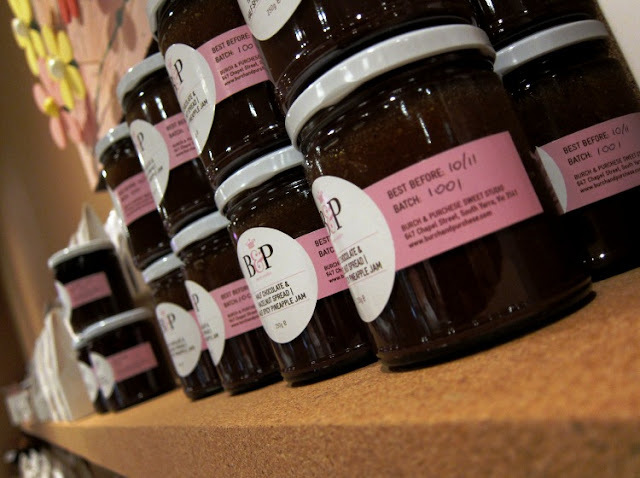 single flavours are $10.5 and 2-in-1 jars are $12. There were also cookies, crumbles, honeycomb, ice cream and fudge. You get the idea. I didn't take pictures of everything because at this point I was starting to feel like some kind of obsessive dessert stalker. As fate would have it, I had put most of my money into a term deposit just the day before. This meant I could only buy a limited number of goodies. Just as well, enforced frugality is probably for the best when so many temptations abound. 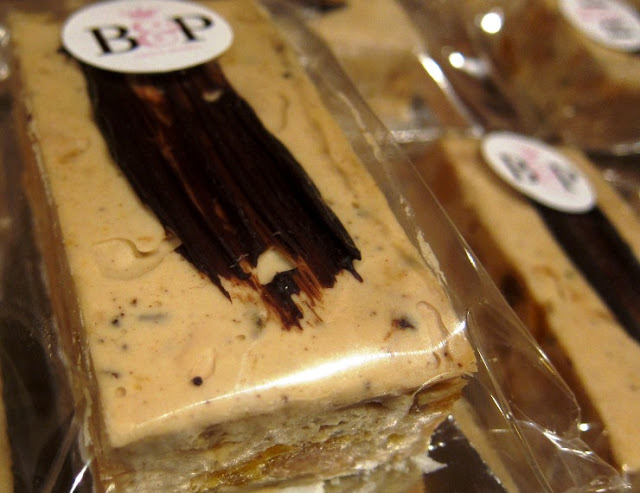 Just to give you an idea on how dangerous a visit to Burch & Purchese can be, I'll tell you this. I'm not big on white chocolate, but I somehow ended up walking away with two white chocolate items. I mean, those passionfruit white chocolates lightly brushed with dark chocolate, they just looked so tart and alluring. And it was hard to turn down caramelised white chocolate with toasted macadamia nuts. It doesn't even look like white chocolate anymore with that lovely tint of golden brown. How can you reject white chocolate when it doesn't even look like white chocolate? How, I ask? Now, first of all, I have to say that, unfortunately, these chocolates don't quite have that sought-after silky-smooth, melt-in-the-mouth texture. I am guessing that this may be the inevitable side effect of all the fancy-schmancy stuff they do to it. However, I really liked the flavours. The passionfruit chocolates had the characteristic fragrant astringency of passionfruit, with the taste of the white chocolate itself being fairly subdued. It's a great chocolate for someone who doesn't want something very chocolatey, and I mean this as a compliment. 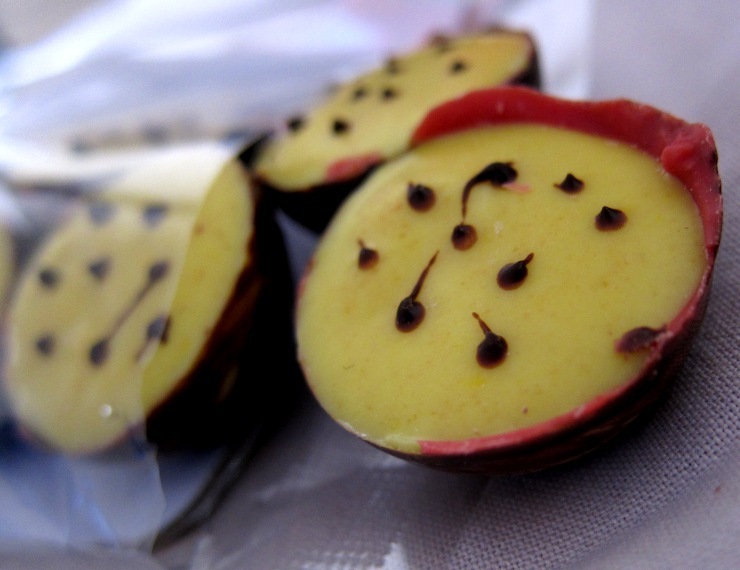 white chocolates with freeze-dried passionfruit, $9. 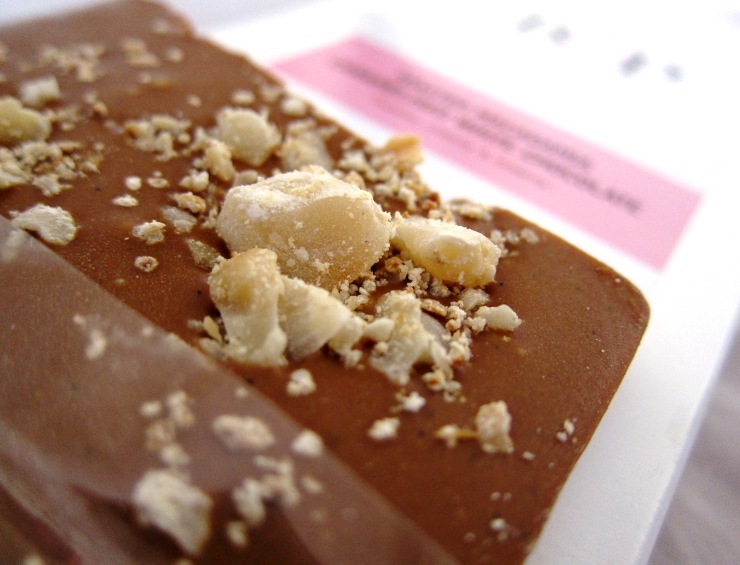 The caramelised white chocolate was like a solidified version of dulce de leche, and I adored the addition of the toasty macadamia nuts, which balanced out the sweetness of the chocolate. toasted macadamia caramelised white chocolate, $9. I also bought this parfait-like invention from the individual cakes section. 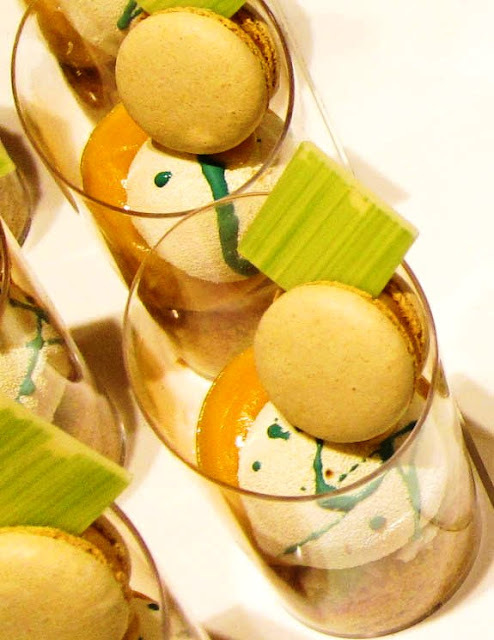 Tagged as Coconut, Passionfruit, Ginger, Mint, it is an intriguing concoction of - let's see - white chocolate mint wafer, ginger macaron, coconut mousse with brilliant white chocolate spray, passionfruit curd, coconut caviar, salted oat and ginger crumble. coconut, passionfruit, ginger and mint dessert, $9. I had great fun eating this and identifying each element! Once I had a taste of every component, I dug in properly and combined them all in a single bite. Sweet, tangy. Soft, chewy. Smooth, crumbly. It was an exhilarating symphony of flavours and textures. a scrumptious spoonful of burch & purchese dessert. 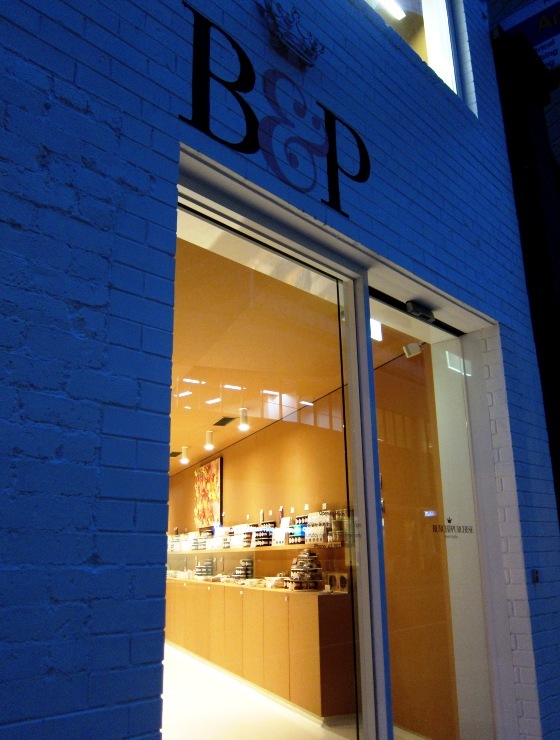 So... will I return to Burch & Purchese? You bet! 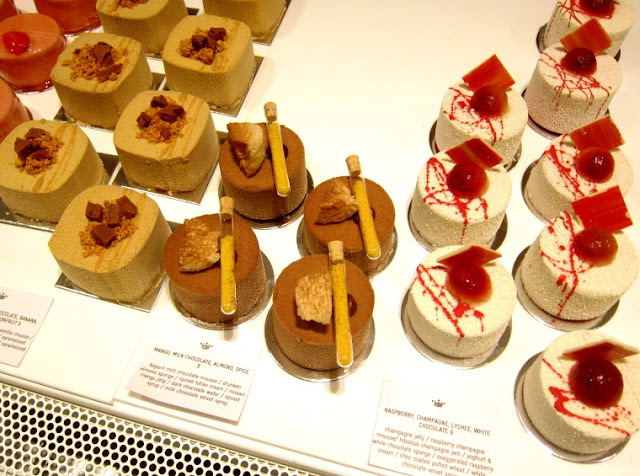 They've created such an exciting space that is taking the Melbourne dessert scene by storm - and I am all caught up and keen to try more of their beautiful offerings. Que pena! Moro muito longe... para poder saborear essas delícias de sobremesas. Bom fim de semana com muita paz, saúde e felicidade. I have to pay them a visit soon. 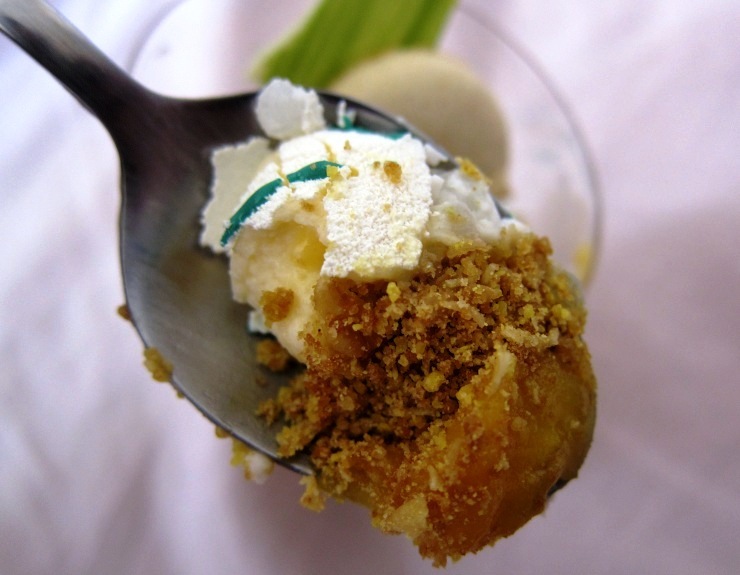 Had a taste of their dessert at a recent dinner event and was so impressed with them. oh, i am sooo excited to see this gorgeousness. this place is right up the street from me! I absolutely need to get down there to use my voucher! Loved it that I have tried a majority of the items during their Burch and Purchese and Bompas and Parr night! Yayy! Oh my heavens. Oh my heavens. I have got to try and get here during my trip to Melbourne in two weeks' time!! msihua, lucky you, having a voucher and having already tried most of their creations! Unbelievable stuf at that pastry shop. I've been in shops like that in Paris an Switzerland but I just don't come across such beautiful places like that in the US too often. It makes me curious to know if there are shops here in Houston. Loved the edible greeting cards. That's amazing! I love the look of the blackberry clouds. Sarah, I hope you do find a shop like this where you live! They can be pretty hard to come by though. 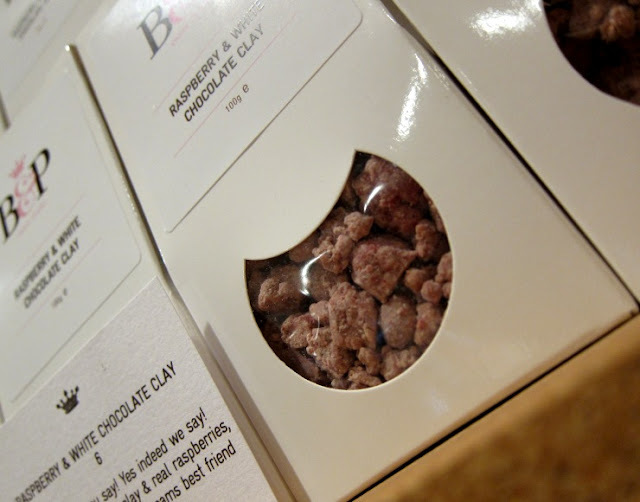 Foodycat - yeah, the freeze-dried blackberry powder really gives it a nice zing! Joyti, I guess I have to say I'm glad I don't have a super sweet tooth - it'd be so difficult to hold back otherwise! Wow, I just got Type II diabetes looking at the pictures. I've been meaning to drop down there although I don't like my changes of getting away without eating too much. I must try and edible greeting card for somebody. Awww, tsk tsk to the boys for not saving you some Blithely Unaware but hopefully you'll get to try some of these treats very very soon! I've heard a fair bit about this duo thru twitter and some of the dessert combos sounds amazing! Am keen to visit. Is this a place takeaway only or can you sit to have cakes there? Hi Fatbooo, when I was there they didn't have any seating area so everything was takeaway, I don't know if things have changed since then. It's quite a small space though so I doubt it.